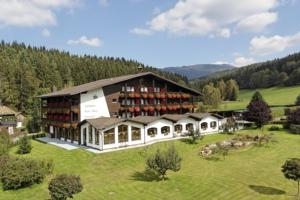 Set in the heart of the picturesque Bavarian Forest, the Adults Only Hotel Grün Wies features an indoor pool, a sauna and massages facilities. A daily buffet breakfast is provided. Rooms at Landhotel Grün Wies offer traditional-style furnishings, a balcony and a seating area. A private bathroom is also included. The warm, country-style restaurant serves a daily fixed menu of regional cuisine, and homemade cakes. During warm weather, guests can also enjoy their meals on the peaceful garden terrace. Guests can enjoy hiking and cycling in the scenic surrounding forests. After a long day of activities a variety of beauty treatments can be booked in the hotel’s spa area. 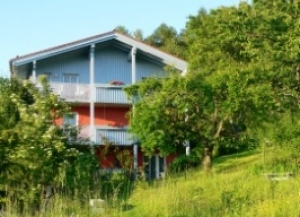 "Holidays without children and time for each other", thats the philosophy of the country side house Korte. Enjoy the calm of the big blossom garden and the panoramic view to the enclosed woods, which invite to hike and disover in summer and winter time. The apartments offer all the comfort, as free Wifi, complete kitchen, television and even a BBQ spot. 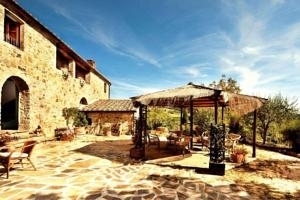 This small country side adults-only hotel called Casa Arcas offers 12 comfortable rooms with fantastic mountain views. Relax in the tranquil surroundings of the beautiful Benasque Valley. All rooms offer air-conditioned and heating system, TV, DVD player, music system and private bathroom with hydromassage bath and free Wi-Fi. Have a romantic afternoon at the hotel's salon with a big fire place. Client's looking for some more action will find great opportunities just outside the hotel's doorstep including mountain sports, including skiing, hiking and rafting. On-site a tennis courts is also available for all clients. During winter times ski storage is possible as the Cerler Ski Resort is just 8km distanced. When looking for a country-side get-away with your partner, have a closer look on this adults only hotel in Huesca. Surrounded by a chestnut tree forest in the Ardisana Valley, this adults only guesthouse offers 12 modern rooms in rural atmosphere. Enjoy breathtaking views to the mountains, with free Wifi area all over the establishment . All rooms provide heating system, wooden floors, safe and private bathroom. Enjoy the breakfast at the garden terrace in the morning or chill during the afternoon at the bar area. Small beautiful beaches are within 15 driving minutes, a perfect getaway for couples at any ages. 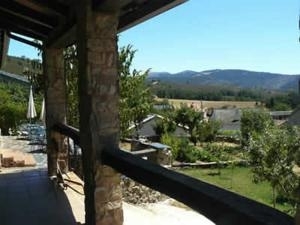 This countryside house int he middel of Andalucia, Spain, offers facilities only for adults. In total 10 rooms are provided for the guest, all beautiful decorated with elegan furnitures, private bathroom, flatscreen television, heating and air conditioning, chimney and balcony. The suites provide a bathtub with hidromassages. Relax at the guest house garden or at the spacious library. The lounge area and the restaurant offer an excellent atmosphere during the afternoon or night for a refreshing drink. This adults-only establishment is situated between Málaga and Marbella in the beautiful interior of the Costa del Sol, only 25 minutes from the airport and famous beaches. 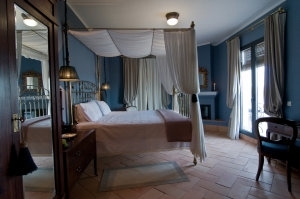 This often award-winning Bed & Breakfast in Alhaurín el Grande is situated on a hill overviewing the Guadalhorce valley. The 5 rooms feature modern design and offer breathtaking views. Dos Iberos is synonymous with luxury: a tasteful decor, an extensive breakfast and a refreshing ‘infinity’ pool to shaded terraces where you can relax. Lunch, dinner and cocktails are also served, while the pool-side bar is open for your desires.